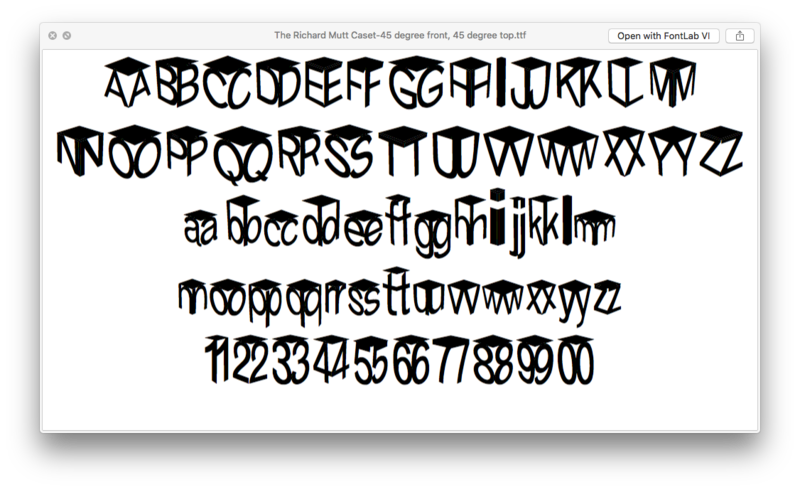 The Richard Mutt Case is created from the three-dimensional boxes that have the MT Grotesque letters printed on their sides. These boxes primarily study the physical space each letter occupies. 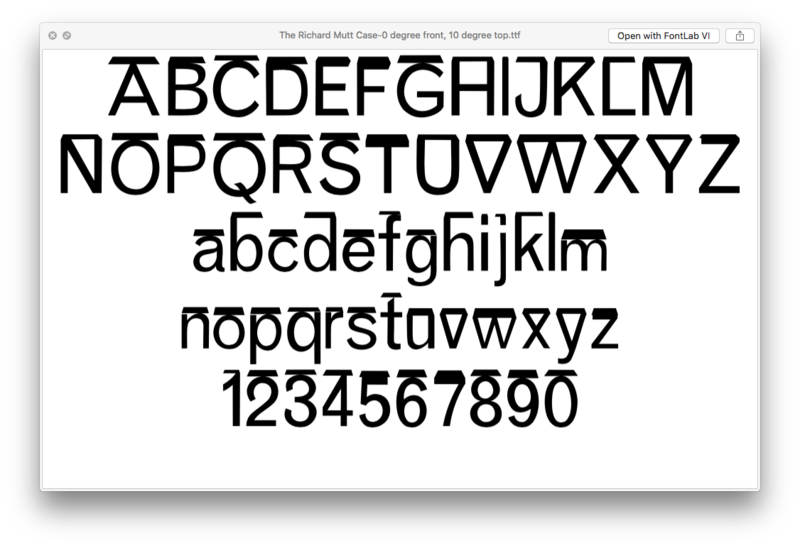 The three different versions of this new typeface replaces the bold, italic, and regular of MT Grotesque. 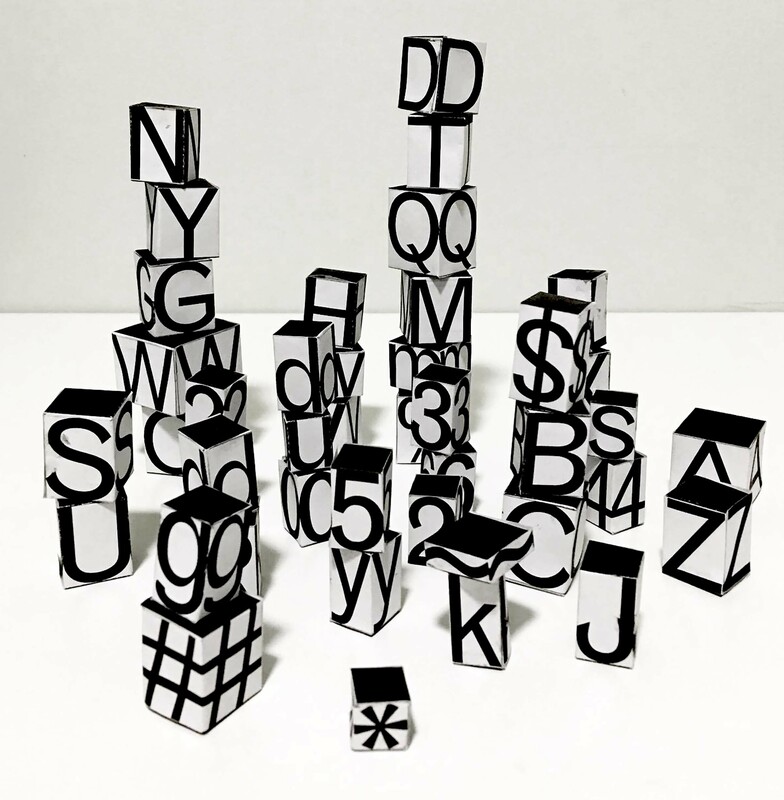 Each of these new versions captures the boxes from different angles and studies how much a letter can change when looked from different vantage points. The physical boxes, themselves, can also be used to typeset information. 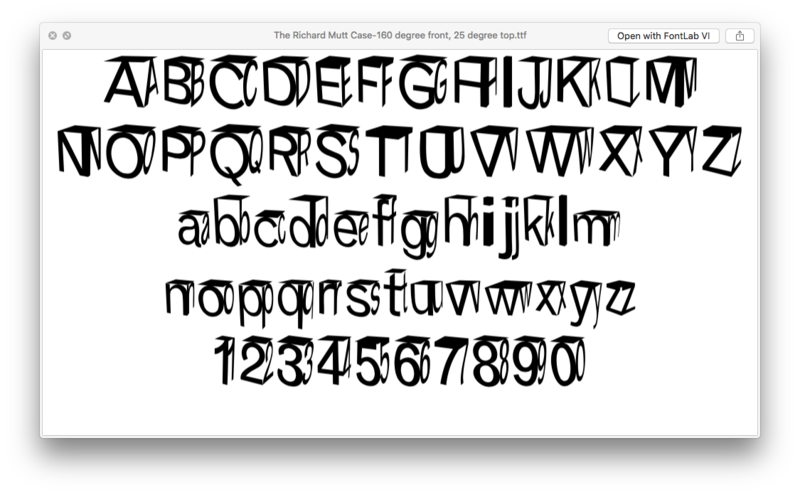 The consideration of new perspectives is what makes this typeface a tribute to the French artist Marcel Duchamp and names this typeface as The Richard Mutt Case, which is also the title of a writing by Duchamp.